£50 non-refundable booking fee (to be taken off total balance if holiday booked). The balance has to be paid in full at least 4 weeks before your holiday begins. 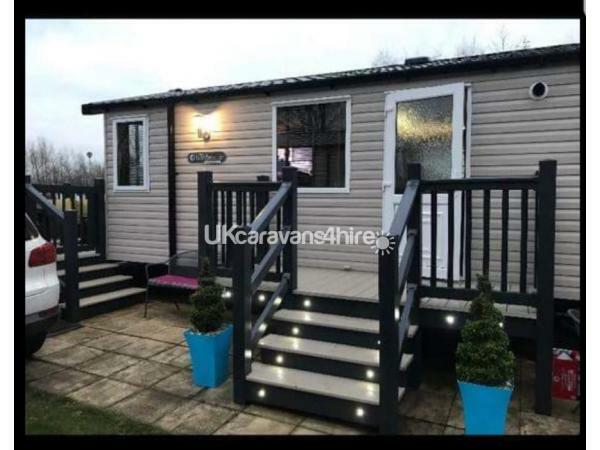 £100 security deposit, which will be returned in full within 1 week of holiday ending, after caravan checks have been carried out and all is as it should be. 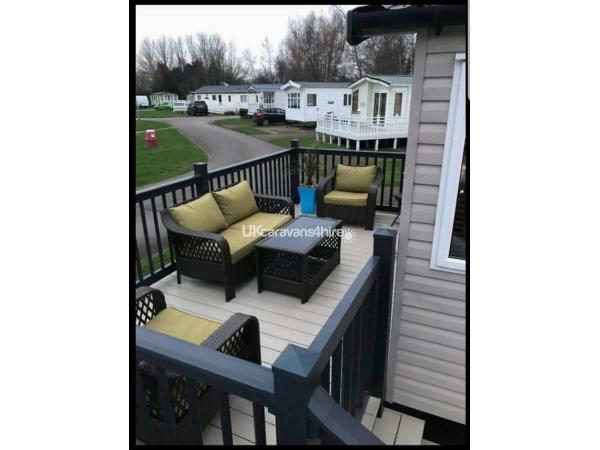 Modern 3 bedroom Prestige Swift Bordeaux Exclusive 2014 caravan on Haven Thorpe Park Cleethorpes. 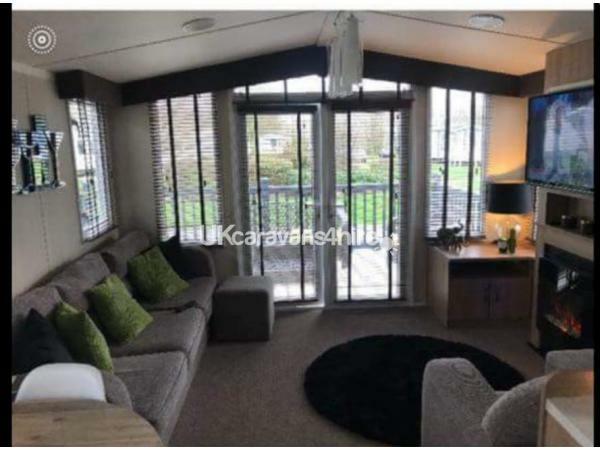 Spacious living area, comprising of a 3 seater (sofa bed) and 2 seater sofa. Large wall mounted TV with freeview. Electric fire and central heating. Extending dining table and chairs. French doors leading on to a large veranda with outdoor furniture. 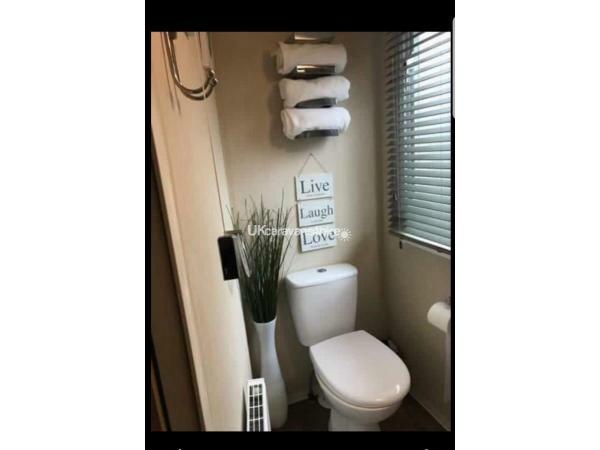 3 Bedrooms, all with central heating. 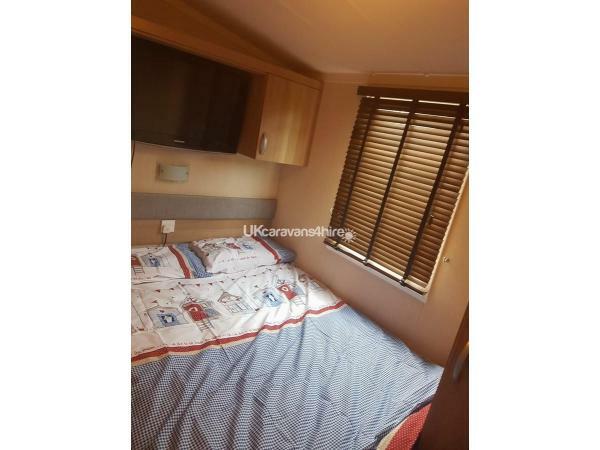 Master bedroom: Double bed, en suite toilet, dressing area and wardrobe. 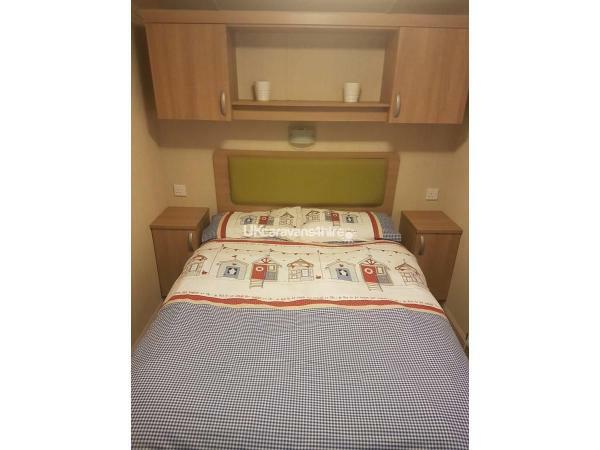 Double bedroom: Double bed, large TV, storage cupboards. 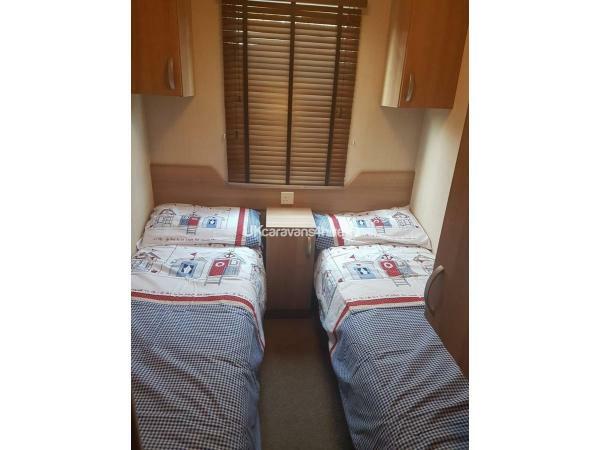 Twin bedroom: Two single beds, storage cupboards. 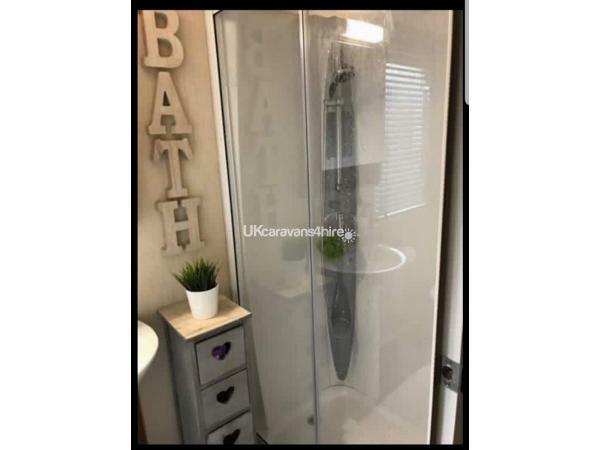 Electric shower, toilet and wash basin ( towels not included). 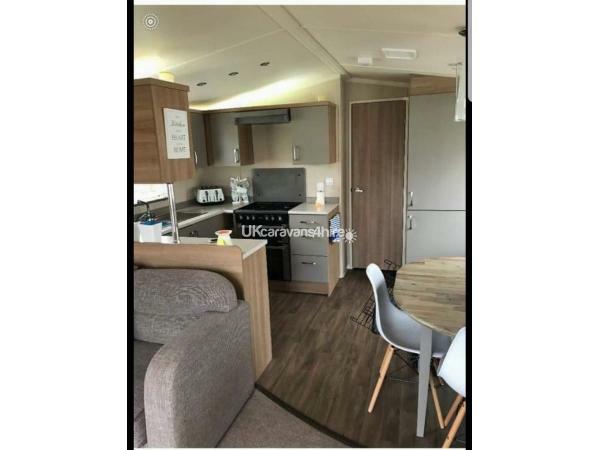 Fully equipped kitchen including kettle, toaster, microwave, large fridge freezer, crockery, cutlery, glasses and all the essential kitchen items needed. Tea towels not included. 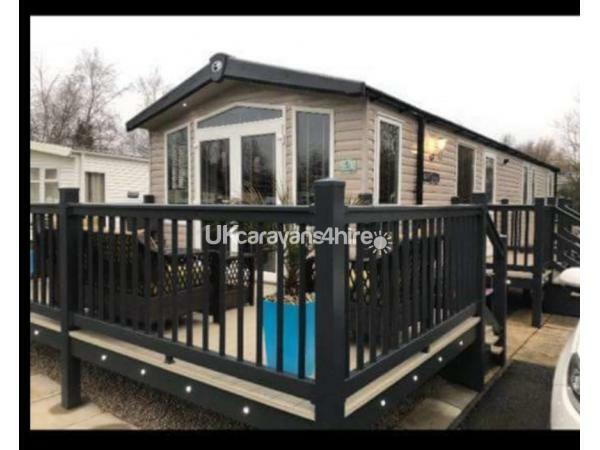 Large veranda with secure gate, out door furniture including rattan seating area. 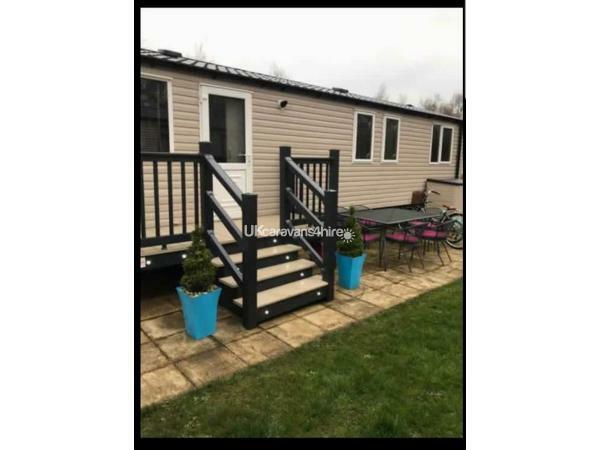 Additional small veranda to the main door. Dining table and chairs on the patio. Parking bay for one car. Please note that passes are not included but can be purchased at the main reception. This caravan has a No Smoking and No pets Policy.